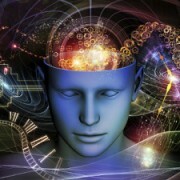 How does the Brain construct Consciousness? What are the Biological Processes that Create Symbolic Form? – Robert Berezin, M.D. Oddly the trance state of dreams illuminates the workings of consciousness more clearly than the trance state of wakefulness, because it creates its play with a cast of characters, feeling relationships between them, plots, landscape and set designs, in pure synthetic form. It’s theater, is the theater of the brain itself. This is a confusing concept because the meaning of dreams seems opaque in waking life. But dreams function for its own purposes. The function of REM sleep is to digest emotional conflicts stirred in the previous day to prepare us to take on the next day in the most optimal way. It does so in the context of the ‘play’ of consciousness, the way that consciousness is organized in brain. It is not intended to be seen in waking life, on HBO, YouTube, or your local movie theater. Remember, waking consciousness is just as much a synthetic illusion as dreaming consciousness. We just happen to be inhabiting the trance state of wakefulness at this particular moment and everything just seems real and ordinary. To understand how the brain constructs consciousness, we need to address its biological operations. Lets keep in mind that biological psychiatry, neurology, and neuroscience in general have preempted a claim on what is biological. They have defined biology as the domain of physical brain structure; brain organization, brain anatomy, and functional brain centers; neurotransmitters; hormones; information learned from studying brain lesions; and activated patterns of neurons that can be seen in brain scans associated with certain localized functions. There is a great deal of knowledge to be appreciated from these approaches. Unfortunately, their orientation has mistaken the parts for the whole. They have ignored the brain’s most important biological manifestation of all: the creation of the play of consciousness. The component parts of brain functioning all work together in concert in the service of the central biological creation of the human genome— the play of consciousness. This specific production of the human brain is the unique adaptational feature of our Darwinian evolution— the defining characteristic of what it is to be human. 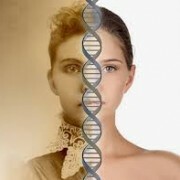 It is the central organizing function of our biological lives and the fulfilled manifestation of our biology. 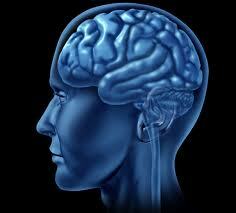 The brain an organ of our body and is body itself. It develops all the way through embryology, infancy, childhood and adolescence. Here are the basics. The cortex gives order and coherence to information by unifying huge quantities of bits of information into more encompassing form. This follows from the remembered ordered way its neuron channels electrochemically link up, one to another. Two neurons get permanently linked by chemical processes that get established in the synapses (spaces) between them. This allows an activated electrochemical current to travel along an established pathway of connected neurons like an electric wire. These permanent, intact electrochemical circuits create neuronal memory. Single units of information get linked into patterns. A web of neuron (memory-glued) circuits constitutes a pattern of information. These webs link up with other webs to create larger webs. These webs of webs of webs create larger webs that map all throughout the architecture of the cortex. The cortical process of creating form and functional order out of an incredible mass of information is extraordinarily efficient. The pyramid of order, created by reducing information into patterns, operates exponentially. Here’s a simple example of exponential expansion. Let’s say you ripped a page out of a book. If you were to fold it in half fifty-nine times, its thickness would reach the sun. Don’t worry; you can’t physically do it— but you can do the math. Start with the thickness of one page— 1/ 300 of an inch— and double it fifty-nine times. This results in 1,767,744,000,000,000 thicknesses of paper in a stack that will extend for ninety-three million miles. The brain works exponentially in reverse. It gives form and order to large quantities of pieces of information by reducing them exponentially. Let’s say the brain is inundated with 1,767,744,000,000,000 pieces of information of which to make sense. It operates by linking bits together. Units of two bits linked together create 883,872,000,000,000 patterns of two units. By repeating this process and linking together two-bit patterns with other two-bit patterns, we now have 441,936,000,000,000 patterns of four bits. If this process was repeated just fifty-nine times, it would create one coherent form out of all those units of information. The multiplication of these circuits creates a pyramid of order. Sensory information from the five senses and their neuronal impulses are at the bottom of the pyramid. Those are simple units of information. These patterns get linked to other patterns and become higher-level units of information. As these patterns get connected into larger and more elaborate patterns, they create higher-level units of information. The top layers of the pyramid, arising from the high-end cortical maps, create the symbolic forms that are used in top-down processing. In addition each synapse can connect hundreds of neuron maps. Then there are ganglions of neurons called brain nuclei, which operate as hubs to massively increase the connectivity of neuronal circuits, creating additional webs of connections, radiating outwards. This creates a higher level of order and unifies additional patterns into constellations of patterns, creating larger patterns. These huge networks of neuronal circuits link together to create the architecture of mappings that establishes high-end cortical maps. To make it even more complicated, the various neurotransmitters of connection qualitatively color the resultant symbolic forms. When higher levels of order take form, they are increasingly abstracted from the original information and take symbolic form. Let’s take language as an example. Language is a high level of order that a child develops at anywhere from one to three years old. Consider the word “swim.” It represents and stands for the complex activity and experience of swimming. However, from the word “swim,” I don’t get wet, I don’t kick my feet, I can’t get splashed, and I don’t need a towel. It reduces the whole thing to a four-letter word. The circuits of circuits that map “swim” are the operational unit that creates the word. “Swim” is an abstraction for a huge complex of information that allows me to communicate, in shorthand, to you. The word “swim” is an abstracted symbol, not the thing. Once a symbolic representation is established, it becomes the prism through which we see. It is at a considerable remove from the actual experience of swimming. Once the cortical mapping for “swim” is established, the lower levels of order that comprise the host of things that swimming is, are then automatically bypassed. Language operates as a cortical top-down projected image. Next – The Neuroscience of Consciousness Part II – Communication. I have always thought that female brains and male brains differ through lifestyle. We know we can change our brain patterns. As an example the brain pattern of a taxi driver in London is different from a non-driver. What if a female was subject to a lifestyle not normally considered female? What if that female, for example, if she was capable, was allowed to work in the workplace as a high powered executive, without male bias? What if, for example, would happen to a male’s brain pattern if he was subject to a lifetime of domestic chores? I have been watching the Danish TV show “Borgen” and I am aware of differences in culture. Women seem to be equal quite naturally with men. Men over here and I think the same in the USA, seem to they need to be “in control” and “act butch”. Does the differences in men and women, due to culture, make a difference to our brain patterns? Well, I half agree with you. For sure male and female brains are influenced by culture.The learned mappings of of our brain circuits are very plastic. So what might be assumed to be built in, can certainly be a result of our culture. So of course a woman can be a high powered executive or anything she wants to be for that matter (as can a man). On the other hand. Male and female brains are also intrinsically different. They reflect the differences in our bodies and our hormones.our adaptation did evolve as hunter gatherers. Women bear children and their body hormone minds are adapted for that. Man adapted as hunters. That is still the way our essential brais are organized. That does not limit us to narrow culturally proscribed roles. Cave men couldn’t read. That doesn’t mean they weren’t capable. Ifa child of a cave man would be pluncked into our culture and time he would become literate. I do not believe, however, that gender is purely relative and interchangeable.